To keep our roads safe for everyone, truck and bus drivers must follow Australian Road Rule 108 when descending on a steep road. This law means that when you are driving a truck or a bus on a road with the sign trucks and buses must use low gear, you must drive in a gear that is low enough to limit the speed of your vehicle without using the foot brake. By law, all truck and bus drivers driving on Australian roads marked with a 'trucks & buses must use low gear' sign must obey this law. Look out for the warning signs that alert you to steep descents such as on the South Eastern Freeway approaching Adelaide. If you lose control of your truck or bus on a steep road the result could be deadly, you could kill or cause serious injuries to yourself or others. Serious penalties can also apply. When descending on a steep road, trucks and buses need to travel at a safe speed the whole way down. Foot brakes can't do this alone. These brakes can easily overheat and lose their effect, and you could lose control of your vehicle. If you use the foot brake or do not use a gear that's low enough to slow down the vehicle, the brake linings can lose their grip and you can lose control. By making sure the vehicle is in a low gear before starting to drive down the hill, you will be able to stay in control and keep our roads safe for everyone. As soon as you see the 'trucks & buses must use low gear' sign, you must start slowing down and switching to a low gear. This means you will be using the right gear before starting to descend, and will not need to use the foot brake when driving down the hill. As you descend, you must use the engine or exhaust brake the whole way down the hill. This will give you good control and help to avoid danger. Every vehicle is different. You should never operate trucks or buses without knowing how their braking systems work. Apart from risking the lives of yourself and others, if you fail to obey Rule 108 you could also face large penalties. You could also lose your licence or be imprisoned for careless of dangerous driving. Trucks include all vehicles with a Gross Vehicle Mass (GVM) over 4.5 tonne (except a bus, tram or tractor), regardless of make or model. Buses are vehicles with a seating capacity over 12 passengers (including the driver). Your vehicle will have a plate attached that should set the seating capacity of the bus and it should be registered as a bus. Where does Rule 108 apply in South Australia? Rule 108 signs are installed on the South Eastern Freeway; Willunga Hill; Main South Road, O'Halloran Hill; Old Belair Road, Mitcham; James Road, Mitcham; Ocean Boulevard, Seacliff Park. 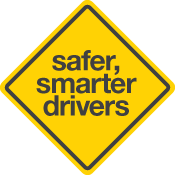 Read The Driver's Handbook for more information on road rules for South Australian drivers.